There has obviously been a lot of talk regarding the poor quarterback class in this year’s NFL Draft and rightfully so. Especially when you compare the potential picks to last year’s haul which resulted in five starters in the league, this April’s draft class has tons to prove. The other area that I don’t find particularly awe-inspiring is the running back position and there might be a couple of reasons for that. First, teams just don’t rely on running backs the way they did 30 or 20 or even 10 years ago and secondly, there doesn’t appear to be that one back that teams just ‘have to have’ this year. With that said, there are still a handful of running backs that could offer the Pittsburgh Steelers an opportunity to fill a much needed position. So far in the ‘prospect visitation process’ the Steelers have entertained UCLA’s Jonathan Franklin, Texas A&M’s Christine Michael and reportedly worked out Michigan State’s Le’Veon Bell. I get the feeling the Steelers like Bell a great deal as Mike Tomlin and company were in attendance at Michigan State’s pro day as well. I am of the opinion that while the Steelers lack depth and speed in the back-field right now, they have too many other areas of need to address in the top three rounds of the draft. I believe wide receiver, linebacker, safety and defensive line all trump running back right now in the ‘need’ department heading into 2013. As many of you who read my stuff regularly know, I’m an advocate of a three-wide system with a tight end and a single back in the back-field. I believe defenses today are too fast to try and line-up against with two tight ends and a fullback and expect to run the ball successfully. Spreading out the defense is a must. It became increasingly apparent during Todd Haley’s first year as offensive coordinator that he and I would not see eye-to-eye in this area. David Paulson and Will Johnson were both on the field far too often last season in an effort to both run the ball and protect Ben Roethlisberger with the line being unhealthy. I have to believe that if the Steelers choose a running back with one of their top three picks (I’m thinking 3rd round most likely) then the message that sends to me is Haley has a strong voice in the coach’s office. I’m not suggesting this a bad thing necessarily but does any running back in this draft really deserve to go before the mid-second round anyway? The other message that could be smoke-signaled by choosing a back early would be to Roethlisberger and would be to the defense. If you think for one second that the Haley hiring didn’t have something to do with protecting the aging defense then you’re crazier than the guy who bet on the Pirates to win the Series this year. The convenient explanation to Roethlisberger will be “we’re trying to protect your health and pro-long your career.” It’s a safe argument because there is some validity to it but it also can be viewed as an excuse for what I mentioned above. Should Bell or Michael be the pick then I think three yards and a cloud of Heinz Field dust will become the norm for the Steelers. Should it be Franklin or a guy like Joseph Randle from Oklahoma State then I can hold out hope that spreading out the defense and throwing the ball on downs other than third may still happen. A lot of what I say here is strictly conjecture on my part but I take a lot of pride in trying to read the tea leaves on the South-Side and right now I have a sneaking suspicion a running back will be selected earlier than we might think. Marc Uhlmann writes for and co-owns www.steelcityblitz.com. Follow him on Twitter @steeldad and follow the website at @SCBlitz. He can be heard Mondays on Trib-Live Radio at 4pm ET talking Steelers. Marc Uhlmann is a Co-Owner of and Writer for steelcityblitz.com. 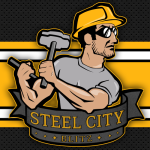 Follow him on Twitter @SteelDad and follow the site @SCBlitz. 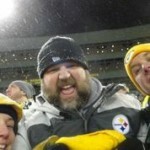 He is the host of the Steel City Blitz Podcast and has been known to offend fans with opinions they fear are true. I think the reason to take a RB high is because the current guys are big but slow and no threat out of the backfield, also, maybe the staff would like to convert some of those short and 1yds. 2yds., etc.